Five years ago, I was just making the move from film to digital with the Canon 20D. The camera performed very similar to my previous film Canons which made the transition fairly easy. Still, practice is everything. I was going out every weekend with the 20D to get used to the camera in the field. My first weekend out, I stumbled upon a special flower show on Long Island. The show was just dahlias of every color, shape and size (from 2-inch blooms to well over 1-foot). It was the Fall Dahlia Show presented by the Long Island Dahlia Society and every flower was more beautiful than the last one. But, there was one that really stood out. It was a multicolor sunburst that really spoke to me. I took a few shots which looked good on the LCD, so I continued shooting and had a great day. 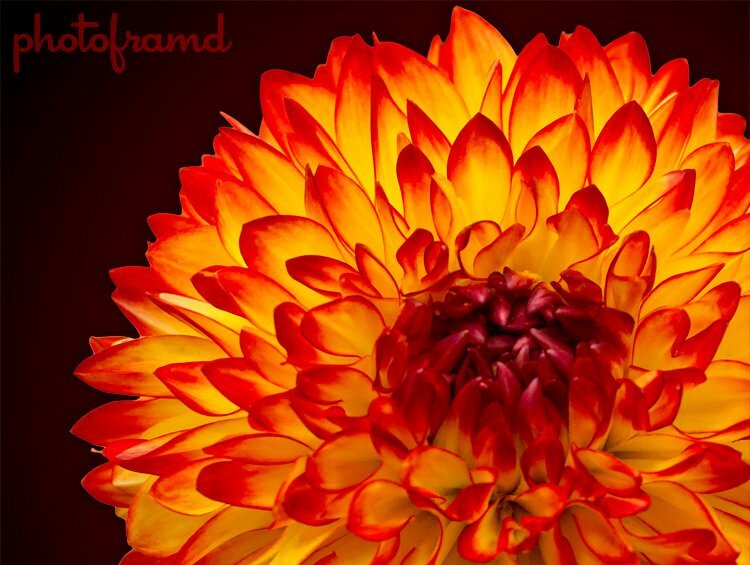 Unfortunately, when I had a chance to pull the RAWs into Photoshop, I realized that the center of the dahlia was soft. The overall photo was still good. In fact, one client was so thrilled with it, that it was used in their print ads, brochures and even their website. But, I knew better. The center of a flower is similar to a model’s eyes; they need to be as sharp as possible in a direct shot. Every Fall since then, I have returned to the dahlia shows on Long Island, hoping to get a second shot. If you are in the New York area, you should try to visiting these Fall Shows. Each dahlia group has multiple shows in the Fall. In fact, next weekend is show by the Long Island Dahlia Society on October 2 & 3 at the Bayard Cutting Arboretum. NOTE – It is very appropriate that even the Canon 35mm f/1.4 L is a second chance lens. I wrote about this lens before. I purchased it used from Adorama and saved 30% off the cost of the lens new. Adorama tests and rates every used lens it sells, so there are no surprises … just some real savings. Before you buy your next lens, take a look at Adorama’s Used Equipment Dept.